Conditions of sale - must be desexed by 6 months as per Dog and Cat Management requirements for SA, a $200 refund offered on proof of desexing by 6 months old. Health guarantee with vet check provided. Buyer questionnaire requesting details of family, housing and other pets. Verbal and personal interview. Always ask many questions and in all cases where the new owners live in SA, I want to meet them and visit where they will be residing (new homes). I request that they come and visit me to see where their new puppy has been born and raised and have them meet my older dogs to assess the temperament and see how the older ones are with new people, a good indication of what the pups will be when fully grown. Yes email, phone and personal visits. I also take my pups/dogs back when new parents go on holidays for boarding. My puppy buyers are given a receipt of sale which states that if for any reason that they can not be kept I guarantee I will take them back at any age. 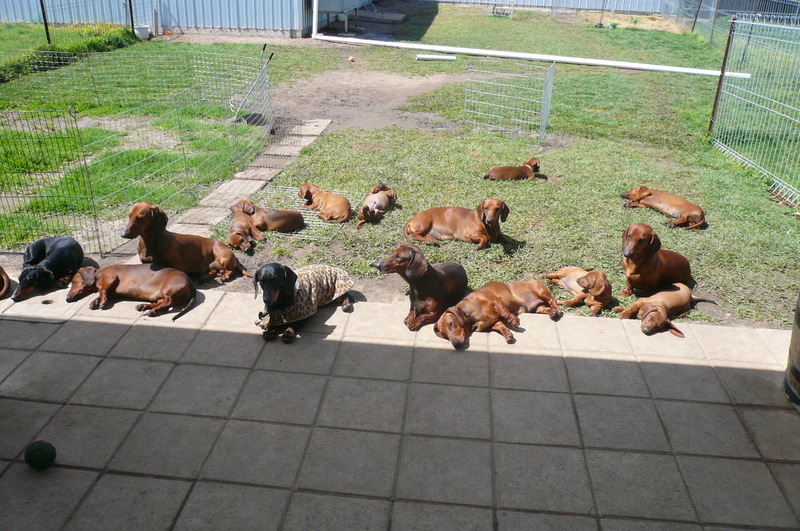 I have been involved with Dachshunds since 1980. 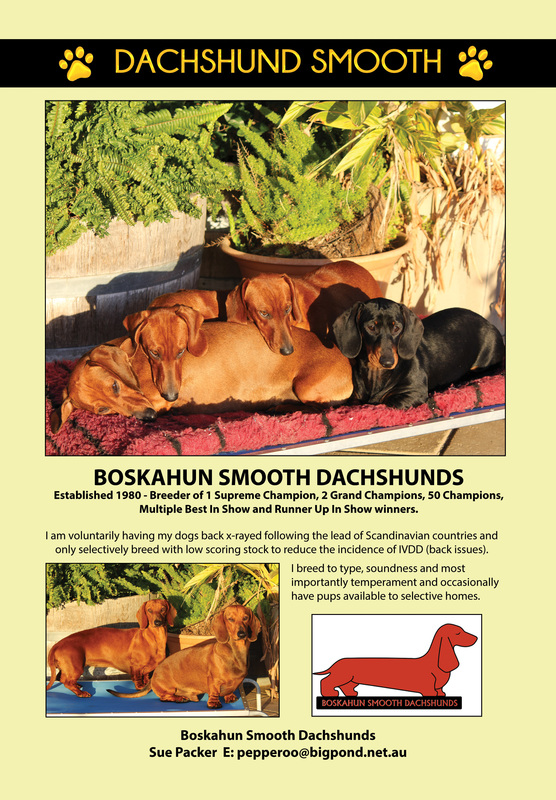 My current Standard Smooths have x-ray certification - to improve the health of Dachshunds for IVDD. 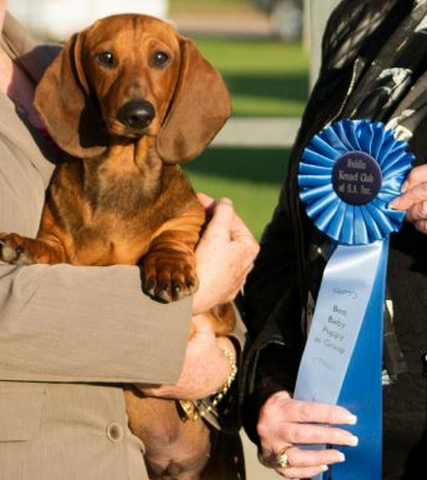 Health, happiness and sound temperaments is of the utmost importance to me when breeding whilst always striving to improve the quality of my dogs. My dogs are family members first and show dogs second. I offer ongoing support for all my puppies sold and prospective new owners can expect to be asked many questions and to be meet prior to obtaining a puppy for me. For more information please send a message or call.